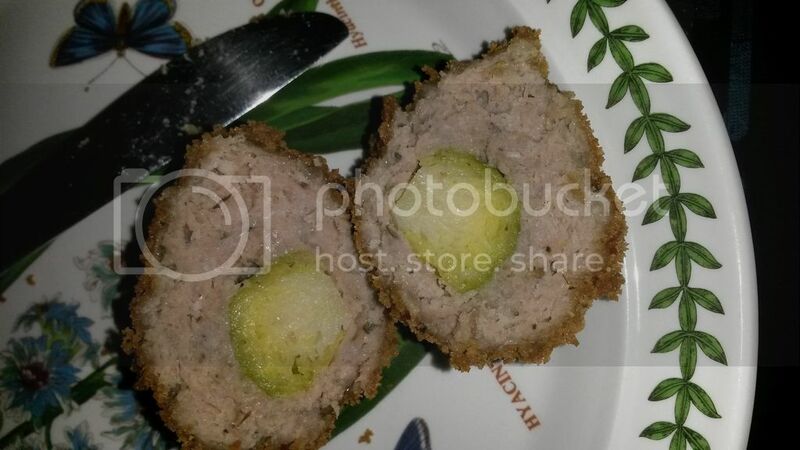 I quite like a scotch egg, but to be honest I'm not an egg-man  (or a walrus). Par-boil the sprouts (about four minutes) and let cool. Take a small ball of the meat and form it around a sprout, rolling it between your palms to make sure there are no gaps. There should be enough meat to make twelve balls. 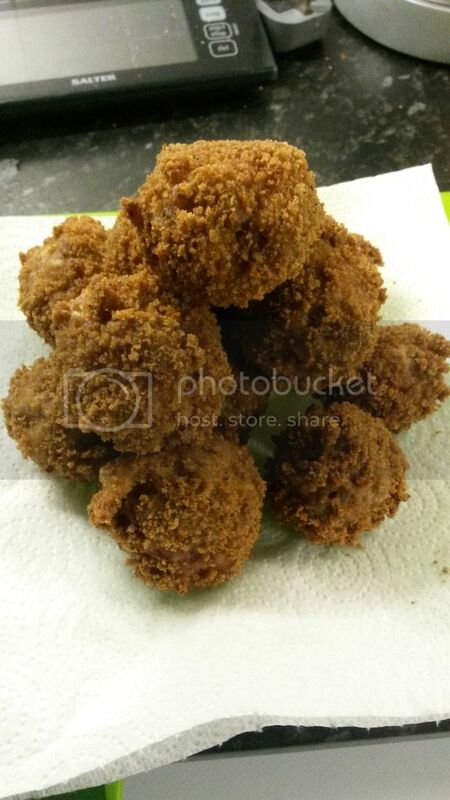 Run each ball through flour, beaten egg and breadcrumbs. (Incidentally, I found by accident that gluten-free bread makes wonderful breadcrumbs for this sort of purpose). Deep fry at 170 C for about six minutes. Drain on kitchen paper. These went down well at our NYE celebration last night. My mate Keith told me that egg-man, from the Beatles' "I Am the Walrus", referred to an unusual activity practiced by Eric Burdon of the Animals (famous for "House of the Rising Sun"). Don't google it at work, and maybe use private browsing. It'd be a great way to upset the sprout-haters too! It look like your mate was correct about Eric Burden. Forgot the pepper: 1 g black pepper for 500 g meat!